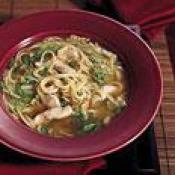 Tahini and fresh ginger give ordinary chicken noodle soup Asian flavor. 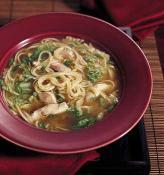 Light easy soup that uses up left over Roasted Garlic Sesame Rice. 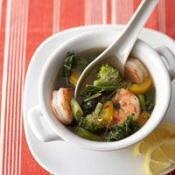 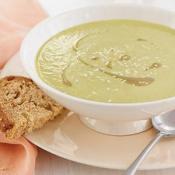 Cool and creamy broccoli soup with onions, cumin, and toasted sesame seeds.